FETCH a Cure and The Oncology Service (TOS) opened the new veterinary Advanced Radiation Treatment Center. This radiation treatment center is operated by TOS and represents a collaboration between FETCH a Cure and TOS This Advanced Radiation Treatment Center is the only one within a hundred miles of Richmond with the next closest treatment centers being in Leesburg and Raleigh. Patients of TOS will now have access to these new advances as well as the support of the specialists at Dogwood Veterinary Emergency and Specialty Center in Richmond. This oncology facility will start seeing patients in mid-November. FETCH a Cure is a Richmond-based non-profit organization designed to raise awareness, to educate and provide pet owners greater access to information about pet cancer, senior care, and treatment options. 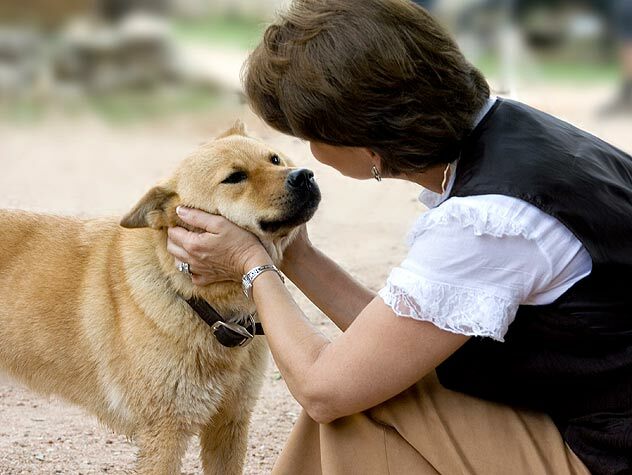 The Oncology Service is an oncology-exclusive practice specifically dedicated to providing the most advanced, evidence-based veterinary cancer care to pets with cancer and their caretakers. “Our patients will now be able to receive state of the art oncology care from TOS and compassionate support from FETCH a Cure to improve quality of life,” said Dr. Chand Khanna, Chief Executive Officer of The Oncology Service. The new technologies at the Advanced Radiation Treatment Center include a GE 8-slice CT scanner for advanced 3-dimensional imaging and a state-of-the-art Varian linear accelerator capable of advanced radiation techniques. With this new equipment, TOS is able to perform the most conformal radiation treatment which allows for precise treatment of tumors in far fewer treatment sessions than is conventionally needed. If you have a concern about cancer affecting your pet, please see your primary care veterinarian and ask about TOS as an option for providing care and treatment. Together, TOS and FETCH a Cure can deliver the future of veterinary cancer care to the Richmond area.